Use these cards to memorise up to 30 words a day. Take them with you when you are travelling or waiting for the bus. 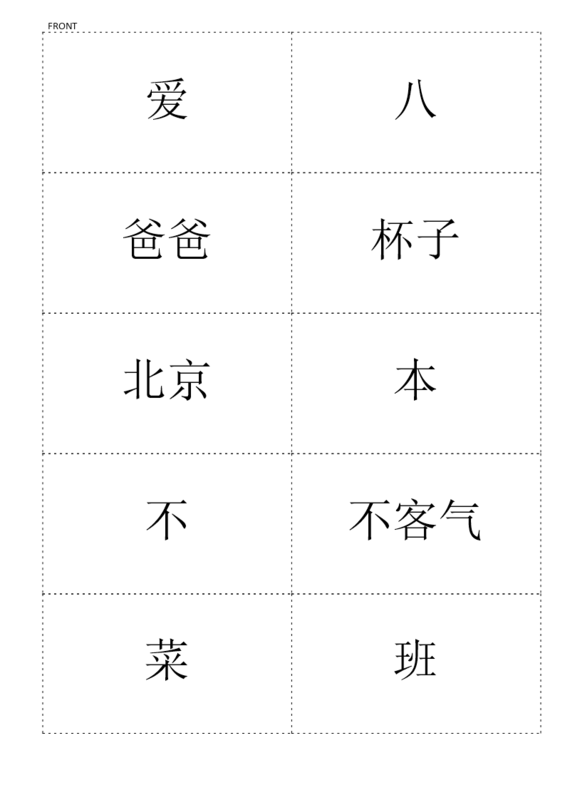 This template is suitable if you are studying for HSK1.